i took a break from cleaning and doll stuff to make a batch of ornaments for a charity fundraiser. 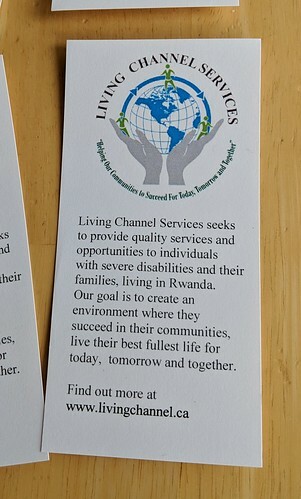 living channel services is a charity started a couple of years ago by a friend to help children in rural rwanda who have severe mental &/or physical handicaps. these children live in the most appalling conditions and have very little hope for the future. we are raising money to help their parents pay for their medical care, fund microfinance cooperatives to help the families get out of poverty, and long term, build dayprogram facilites where the kids can come to get therapy and care while their parents work. 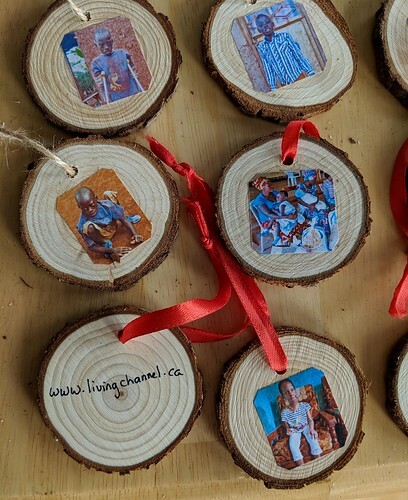 for a couple of upcoming december fundraisers i made these ornaments that we will give for each donation of at least $20. the idea being donors can keep them and hang them up or give them as gifts to family and friends. 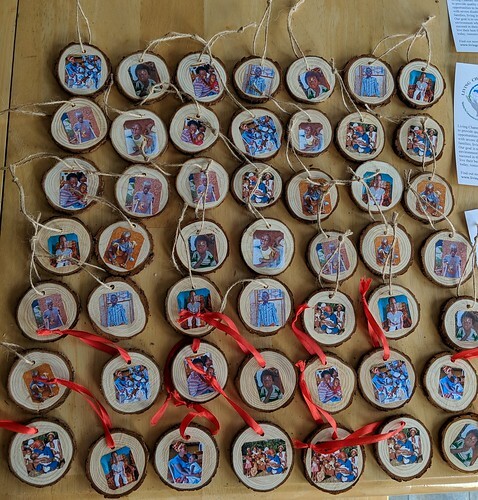 we have a tradition in our family that every year we make donations in honor of each family member and then give them a card/ornament that symbolizes the gift. many family members look forward to seeing what they “got” each year and find they are the most meaningful gift they receive.